As Coulson's health deteriorates, his team argues over whether to use the centipede serum to treat him or to deliver the fatal poison to Talbot. May ends the argument by destroying the poison, leaving only the "save Coulson" option viable. Deke decides to go see the world while he can, before either it's destroyed or he potentially ceases to exist if/when they change the timeline. Talbot forces Robin to reveal the location of more gravitonium by threatening her mother. She leads him to Chicago, where Talbot causes massive collateral damage by his arrival. SHIELD responds to the emergency. 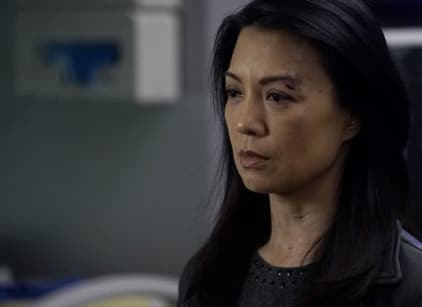 While most of the team goes to rescue the trapped and injured, Daisy goes to face Talbot after some words of encouragement from Coulson, who reveals that he refused to take the serum. Mack, Fitz, and May save Robin and her mother, but Fitz is tragically killed by some falling debris. Meanwhile, Daisy tries in vain to reason with Talbot. As he tries to absorb her and her quaking powers, she discovers that Coulson snuck her the serum. After taking the serum, her powers are boosted greatly, and she shoots Talbot all the way into space, killing him and ending the threat to destroy the planet. The team bids a fond farewell to a dying Coulson, who will spend his last days on the real Tahiti with May while the rest of them goes in search of the other Fitz, who is in cryo freeze out in deep space.